With all of these benefits in mind, this is why I chose this movement for this week’s Grip Strength Challenge. 1. Load the bar with 185-lbs. The largest plate should be no larger than a normal 45-lb plate or 20-kg plate. 2. The bar must be gripped in the center. Knurled or non-knurled bars are allowed. Chalk is allowed. No hook Grip is allowed. 3. Lift the bar from the ground to a point where the entire bar is above knee height. 4. The submission voted “Best Video” by the Diesel Universe will be the winner. One vote per I.P. address. 4. The Title, Description, and Tags must meet the guidelines as shown below. 1. Shoot a video of yourself by this FRIDAY performing the challenge. 3. Email me at jedd dot diesel at gmail dot com with the link to the video. I must receive the email with the video link no later than 8PM EST on Friday. 4. 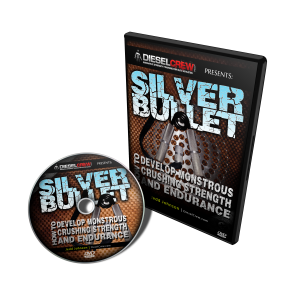 I will post all of the videos that qualify here on the Diesel site. My goal will be to post all of the videos I receive by Saturday at 8PM, EST. 5. 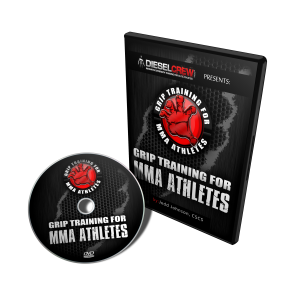 If a vote is required for the Grip Strength Challenge, viewers at the Diesel site will leave comments, deciding who has the best video and who should win a prize. Voting will continue until Sunday at 8PM, EST. One vote per I.P. address is allowed. 8. 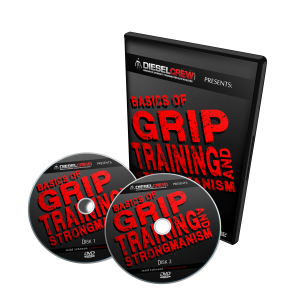 Whoever is voted “Best Video” for the Weekly Grip Strength Challenge, will receive a special Diesel Tee Shirt. Good luck and enjoy the One Arm Deadlift! & receive an Exclusive Interview I conducted with World Record Powerlifter AJ Roberts. as well as AJ’s Mental Approach toward producing these World Record Numbers. It truly is a look into the MIND OF A CHAMPION! This entry was posted on Tuesday, April 26th, 2011 at 2:08 pm	and is filed under athletic strength training lift odd objects, grip strength, grip strength competition contest, how to improve grip strength, old strongman feats of strength, strength training powerlifting, strength training to improve athletic performance. You can follow any responses to this entry through the RSS 2.0 feed. Both comments and pings are currently closed.